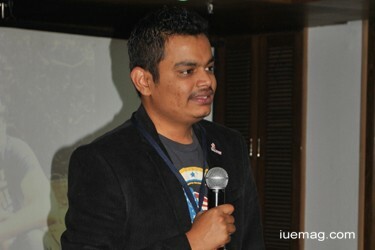 In the last conference of i3 Season 3 Bangalore, delegates witnessed Mr. Krishna Wage - the founder and CEO at SmartQ. We felt truly blessed to have him as our counsellor. The vision of Krishna wage sir is to eliminate the queues in the world so he founded the SmartQ App. 1. If you visualise and keep your focus laser sharp, you'll reach impossible heights. 2. Finding the solutions to the problems faced in the world is innovation. 3. Once we decide a goal, we must be ready to take up the challenges. 4. The best way to stay motivated always is to: Meet more people - Read more books - Travel more places. 5. Don't run behind money, because money comes and goes but morality comes and grows. 6. Never wait for opportunities, create opportunities and make it happen. 7. Hard work and consistency must necessary to grow and achieve. And We are blessed to have a mentors like Sujit sir, Kunal sir, Bharat sir and trueiuite. The journey since 13 weeks is amazing. Any facts, figures or references stated here are made by the author & don't reflect the endorsement of iU at all times unless otherwise drafted by official staff at iU. This article was first published here on 29th July 2015.